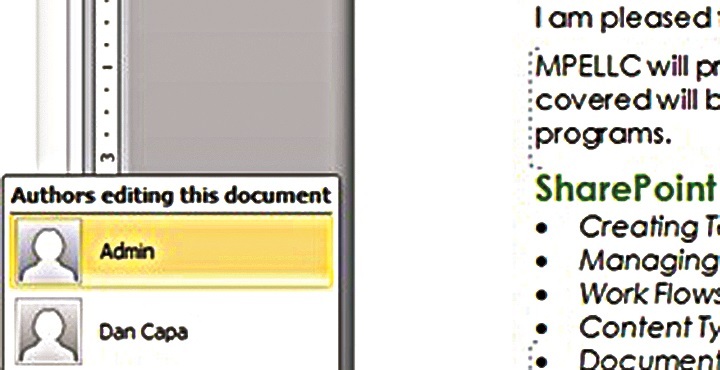 In Word 2010/SharePoint 2010, anyone wishing to edit a document needs Word installed on his computer. With Word 2013/SharePoint 2013, co-authors may edit either in Word Online (Word Web App) or the desktop version. Editing is protected at the paragraph level. So if one person is editing a paragraph, it remains “reserved” until he is done. If a conflict occurs, one person’s changes will be uploaded and the other person will have the option of discarding his changes or making them with Track Changes on. The document owner can choose to keep or discard those changes.